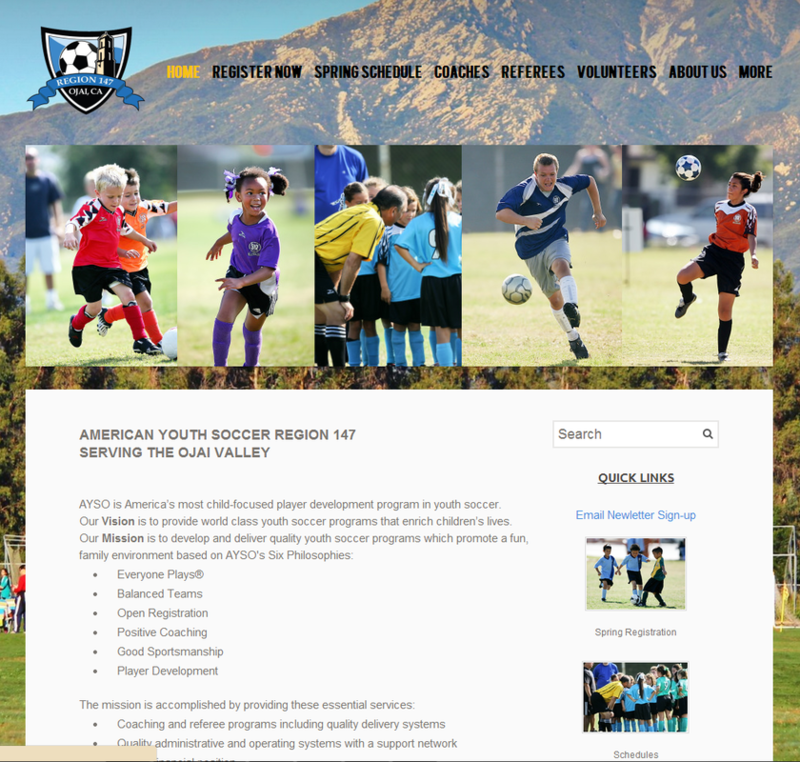 Christina Scalise has done an amazing job at designing and maintaining our website for Ojai AYSO. Our website looks great, is organized, and is easy to navigate. In addition to our website, she broadcasts our current events on all the social media sites, email distribution lists, and our website. Christina is quickly responsive to update requests, and is continually suggesting ideas for ways that we can improve our communication through our website. She is phenomenal. She is friendly, creative, and innovative. Christina does a great service to Ojai's community through her work in maintaining Ojai AYSO's website.